Today is The Sacred day of Ascension, the name of which you carry, and I feel the duty, although I am the least among all, to send you my sincere and affectionate wishes. But what wishes can I give you? I wouldn’t know what else to wish you other than that dear Jesus may make facts correspond to the name He gave you – that is to say, that He may take each one of your acts within Himself and bring it to Heaven, so making of all your life a continuous Ascension, like many conquests that sweet Jesus takes from earth to Heaven, and like the triumph of His Love in which your life must be consumed. To live in order to be consumed in love is the most beautiful act, which, putting us on the stake of love, consumes us with Jesus and makes His Life rise within us. (Luisa:) My Jesus, after rising from the dead, You do not depart for Heaven. This tells me that You want to establish the Kingdom of Your Divine Will among creatures, and I won’t abandon You for a single instant. I follow You step by step with my “I love You” as You appear in the risen state to Your Mother. Through the joy You shared, I ask You ever more insistently for the Kingdom of Your Fiat… My “I love You” accompanies You as You appear to Mary Magdalene and to the Apostles. 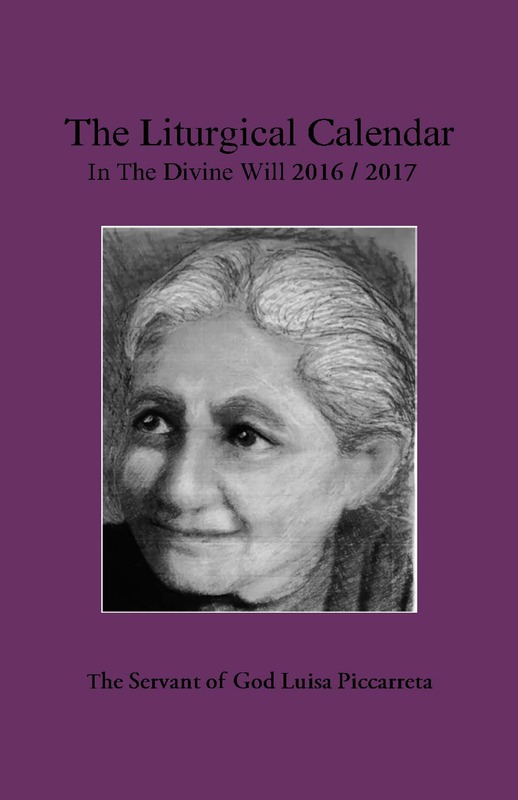 It asks that Your Divine Will be known in a special way to priests, so they in turn, as new Apostles, may make It known to all the world. My “I love You” follows You in all the acts You accomplish among Your friends after the Resurrection. Lastly, it invites Heaven and earth to be present at Your glorious Ascension. While You with Your triumphant entry into Paradise open the Gates that have been closed for so many centuries to poor humanity, I place my “I love You” on those Eternal Gates. I ask You, through that same blessing You gave to all Your disciples who were present at the celebration of Your Ascension, to bless all human wills, so they may know and appreciate the gift of life lived in Your Will. Through the great love with which You open for us the Gates of Heaven, I ask You, O my glorious Jesus, to let Your Divine Will descend from those Gates. May It reign upon earth as It reigns in Heaven. My, Love, You are now seated at the right hand of the Father: Entrenched in my poor little nothingness, “I adore You, praise You, thank You” and I continually form with my “I love You” long chains reaching from earth to Heaven. Please leave open always the Gates of the Heavenly Home, so I may constantly come and kneel at Your feet, climb into Your arms, and repeat to You incessantly my song of love: “Send us the Kingdom of Your Holy Will and may Your Divine Will be done on earth as It is in Heaven!” Amen. (Our Lady to Luisa:) Now listen to Me, My child. Our Highest Good, Jesus, has departed for Heaven and is now before His Celestial Father, pleading for His children and brothers, whom He has left upon earth. From the Celestial Fatherland, He looks at everyone; no one escapes Him. And His love is so great that He leaves His Mama on earth as comfort, help, lesson and company for His children and Mine. Now, you must know that as My Son departed for Heaven, I remained together with the Apostles in the cenacle, waiting for the Holy Spirit. They were all around Me, clinging to Me, and we prayed together; they did nothing without My advice. And when I began to speak to instruct them and to narrate some anecdotes about My Son that they didn’t know—as for example, the details of His birth, His baby tears, His loving traits, the incidents which happened in Egypt, and the so many wonders of the hidden life in Nazareth—oh, how attentive they were in listening to Me, and how enraptured they were in hearing of the so many surprises, the so many teachings that He gave Me, which were to serve for them; since My Son had said little or nothing about Himself to the Apostles, reserving for Me the task of letting them know how much He had loved them, and the details which only His Mother knew. So, My child, I was in the midst of My Apostles more than the sun in the midst of the day. I was the anchor, the wheel, the ship in which they found refuge, to be safe and sheltered from every danger. Therefore, I can say that I delivered the nascent Church upon My maternal knees, and that My arms were the ship in which I led her to a safe shore, and I still do. Then the time came for the descent of the Holy Spirit, promised by My Son in the cenacle. What a transformation, My child! As they were invested, they acquired new science, invincible strength, ardent love. A new life flowed within them, which rendered them brave and courageous, in such a way that they scattered throughout the whole world to make Redemption known, and to give their lives for their Master. I remained with beloved John, and was forced to leave Jerusalem, as the storm of persecution began. 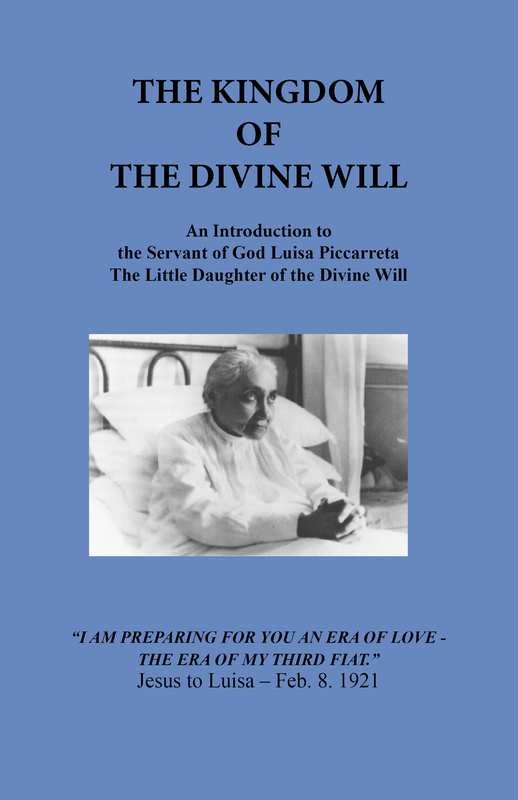 Oh, how happy I will be, in being able to say: “My child is all Mine, because she lives from Divine Will.” And I will make the Holy Spirit descend into your soul, that He may burn away from you all that is human; and by His refreshing breath, He may rule over you and confirm you in the Divine Will. (Luisa:) I was fusing myself in the Holy Divine Volition according to my usual way; and while I was trying, as much as I could, to requite my Jesus with my little love for all that He has done in Redemption, my lovable and sweet Love, Jesus, moving in my interior, told me: “My daughter, with your flight in My Will, reach all the Sacraments instituted by Me; descend into the depths of them, to give Me your little requital of love. Oh! how many of My secret tears you will find, how many bitter sighs, how many suffocated moans of the Holy Spirit. His moaning is continuous, before the many disillusions of Our love. The Sacraments were instituted in order to continue My Life on earth in the midst of My children. But, alas!, how many sorrows. This is why I feel the necessity of your little love. It may be small, but My Will will make it great. My love does not tolerate for one who must live in My Will not to associate herself with My sorrows, and not to give Me her little requital of love for all that I have done and that I suffer. 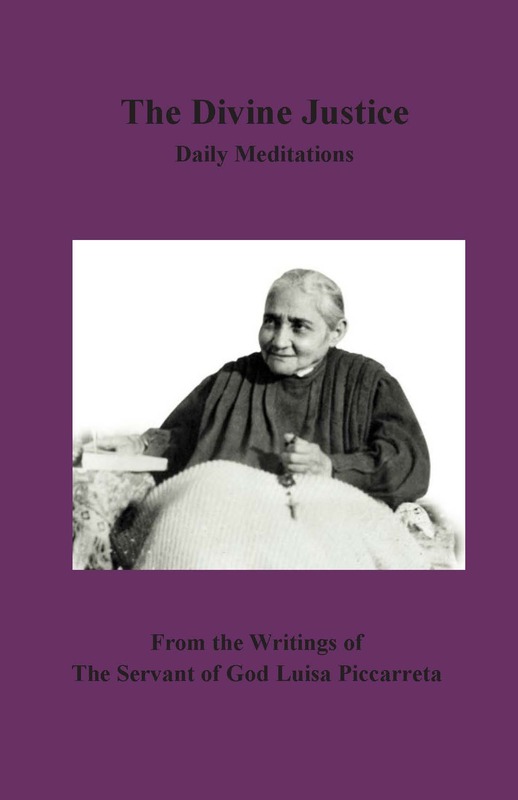 Therefore, My daughter, see how My love moans in the Sacraments. “If I see a newborn being baptized, I cry with sorrow, because, while through Baptism I restore his innocence, I find My child again, I give back to him the rights over Creation which he had lost, I smile at him with love and satisfaction, I make the enemy flee from him, that he may no longer have any right over him, I entrust him to the Angels, and all of Heaven makes feast for him—soon My smile turns into sorrow, the feast into mourning. I see that the one who is baptized will be an enemy of Mine, a new Adam, and maybe even a lost soul. Oh! how my love moans in each Baptism; especially, then, if one adds that the minister who is baptizing does not do it with that respect, dignity and decorum which befit a Sacrament that contains the new regeneration. Ah! many times they pay more attention to a bagatelle, to whatever show, than to administering a Sacrament. So, My love feels itself being pricked by the baptizer and by the one who is baptized, and it moans with unutterable moans. Would you not want, then, to give Me a requital of love, a loving moan, for each Baptism, so as to keep company with My sorrowful moans? (Our Lord to Luisa:) “But, do not stop, keep flying, and you will hear the anguishing moans of the Holy Spirit in the Sacrament of Penance. How much ingratitude, how many abuses and profanations, on the part of those who administer it and on the part of those who receive it. In this Sacrament, My Blood places Itself in act over the contrite sinner, in order to descend upon his soul, to wash him, embellish him, heal him and strengthen him, to give back to him the lost grace, to place in his hands the keys of Heaven, which sin had snatched away from him; to impress on his forehead the peacemaking kiss of forgiveness. But, ah! how many harrowing moans, in seeing souls approaching this Sacrament of Penance without sorrow, out of habit, almost as a vent of the human heart. Others—horrible to be said—instead of going to find the life of their souls, of grace, go to find death, to pour out their passions. 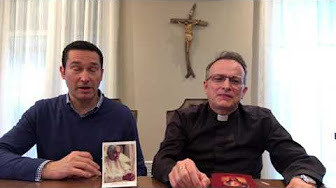 So, the Sacrament is reduced to a mockery, to a nice chat; and My Blood, instead of descending as a bath, descends as fire, which withers them even more. And so, in each Confession, Our love cries inconsolably and, sobbing, repeats: ‘Human ingratitude, how great you are. Everywhere you try to offend Me; and while I offer you life, you turn the very life I offer you into death.’ See, then, how Our moans await your requital of love in the Sacrament of Penance. “Do not let your love stop; go through all the Tabernacles, through each Sacramental Host, and in each Host you will hear the Holy Spirit moan with unutterable sorrow. The Sacrament of the Eucharist is not only their own life that souls receive, but is My very Life that gives Itself to them. So, the fruit of this Sacrament is to form My Life in them, and each Communion serves to make My Life grow, to develop It, in such a way that one may be able to say: ‘I am another Christ’. But, alas!, how few take advantage of it. Even more, how many times I descend into hearts and they make Me find the weapons to wound Me, and repeat for Me the tragedy of My Passion. And as the Sacramental Species are consumed, instead of pressing Me to stay with them, I am forced to leave bathed with tears, crying over My Sacramental lot; and I find no one who calms My crying and My sorrowful moans. If you could break those veils of the Host, which cover Me, you would find Me bathed with crying, knowing the lot that awaits Me in descending into hearts. Therefore, let your requital of love for each Host be continuous, in order to calm My crying, and to render less sorrowful the moans of the Holy Spirit. “Do not stop, otherwise We will not find you always together with Us in Our moans and in Our secret tears; We will feel the void of your requital of love. Descend into the Sacrament of Ordination. Here, yes, you will find Our most intimate hidden sorrows, the most bitter tears, the most harrowing moans. The Ordination constitutes man to a supreme height, to a Divine character—the repeater of My Life, the administer of the Sacraments, the revealer of My secrets, of My Gospel, of the most sacred science; the peacemaker between Heaven and earth, the bearer of Jesus to souls. But, alas!, how many times We see, in the ordained one, how he will be a Judas for Us, a usurper of the character which is being impressed in him. Oh! how the Holy Spirit moans in seeing, in the ordained one, the most sacred things, the greatest character which exists between Heaven and earth, being snatched away from Him. How many profanations! Each act of this ordained one, not done according to the character impressed, will be a cry of sorrow, a bitter crying, a harrowing moan. The Ordination is the Sacrament which encloses all other Sacraments together. 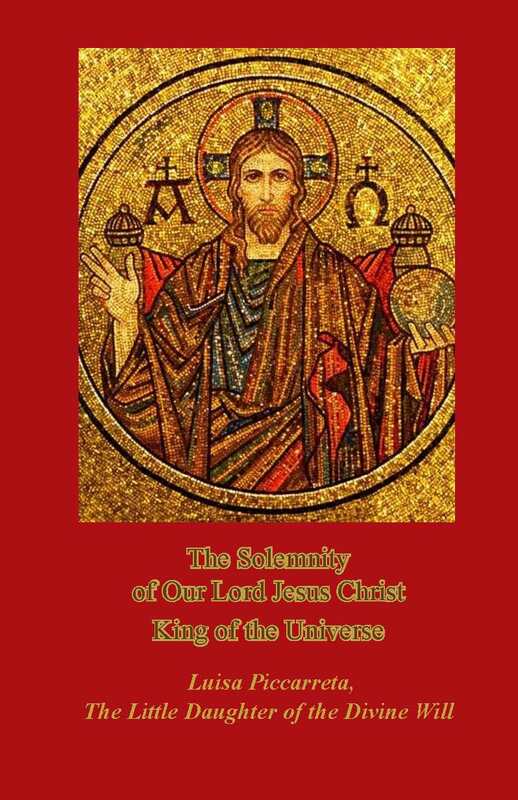 Therefore, if the ordained one is able to preserve whole within himself the character he has received, he will almost place all other Sacraments in safety, he will be the defender and the savior of Jesus Himself. But, not seeing this in the ordained one, Our sorrows are sharpened more, Our moans become more continuous and sorrowful. Therefore, let your requital of love flow in each priestly act, to keep company with the moaning love of the Holy Spirit. 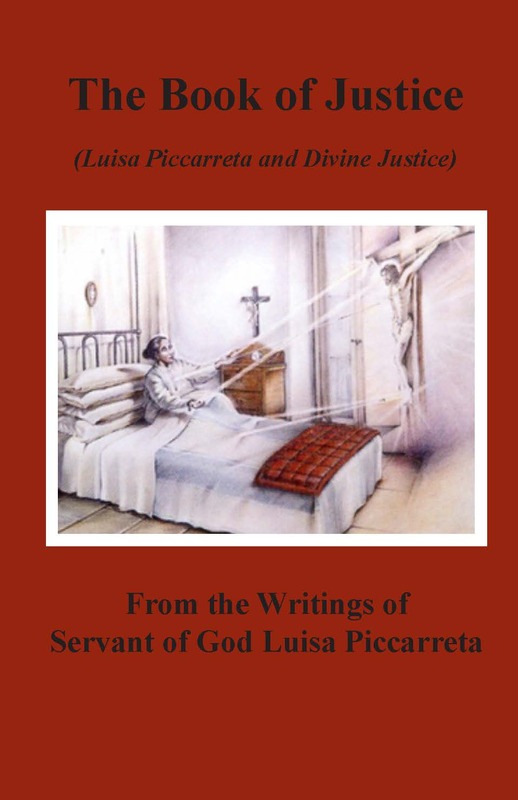 (Our Lord to Luisa:) “Lend Us the ear of your heart and listen to Our profound moans in the Sacrament of Marriage. How many disorders in it! Marriage was elevated by Me to a Sacrament, in order to place in it a sacred bond, the symbol of the Sacrosanct Trinity, the Divine love which It encloses. So, the love which was to reign in the father, mother and children, the concord, the peace, was to symbolize the Celestial Family. I was to have on earth as many other families similar to the Family of the Creator, destined to populate the earth like as many terrestrial angels, to then bring them back to populate the Celestial Regions. But, ah! how many moans in seeing families of sin being formed in the Marriage, which symbolize hell, with discord, with lack of love, with hatred, and which populate the earth like many rebellious angels, who will serve to populate hell. The Holy Spirit moans with harrowing moans in each Marriage, in seeing so many infernal dens being formed on earth. Therefore, place your requital of love in each Marriage, in each creature which comes to the light; in this way, your loving moan will render less sorrowful Our continuous moans. (Our Lord to Luisa:) “What a crime to impede the walk, the step of My Volition in the will of the creature. Thus I created creatures in order to form for Myself many ways in the human wills, to be able to have My continuous walk, and therefore My operative act in them. And the one who impedes My walk would want to impede Me in the continuation of My creation, to block My steps and tie My hands so that I would not be able to operate. Alas! not doing My Will seems to be nothing, and yet it is the greatest of crimes that before the Divine Majesty cries out vengeance toward poor creatures, especially when it is known that My Will does a work, that It wants a sacrifice, and not doing it is as if one wanted to contest the truth. And this is a sin against the Holy Spirit, and cries out for vengeance before God. To know My Will and not do It is to close Heaven, to break the Divine relations, and to not know the Divine command that every creature is obligated to know and to submit to what My Volition wants, even though it might cost them their life. Therefore be attentive, adore My Will and what It has disposed for you if you want to content your Jesus. 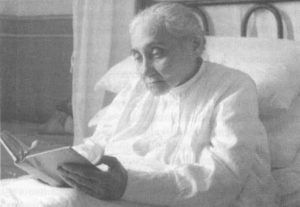 (Our Lord to Luisa:) “You must know that during the course of My mortal Life, in everything I did, I always blessed. It was the first act of Creation that I called back upon creatures, and in order to confirm it, in blessing I invoked the Father, the Word and the Holy Spirit. The very Sacraments are animated by these blessings and invocations. So, while calling the Likeness to the Creator within souls, My blessing calls also the life of My Divine Will, that It may return as in the beginning of Creation to reign in souls, because My Will alone has the virtue of painting in them, vividly, the Likeness of He who created them, of making it grow and of preserving it with the vivid Divine colors. (Luisa:) I was following the acts of the Divine Fiat according to my usual way, in order to repair and bind all the relations between Creator and creature, between Redeemer and redeemed ones, between Sanctifier and sanctified ones, broken by the human will; and my beloved Jesus, moving in my interior, told me: “My daughter, one who wants to know all the relations existing between Creator and creature, and to keep their bonds in force, must let My Divine Will reign within herself with absolute dominion. 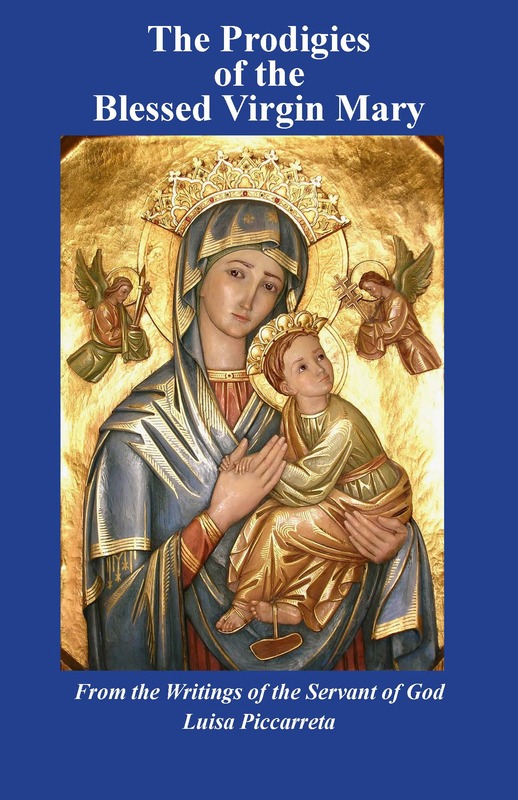 Heavenly Father, I pray in the Most Holy Divine Will, in the name of Jesus and Mary through Luisa, for everyone and everything past, present and future that The Holy Spirit come with His Divine Fire and Sanctify the earth. 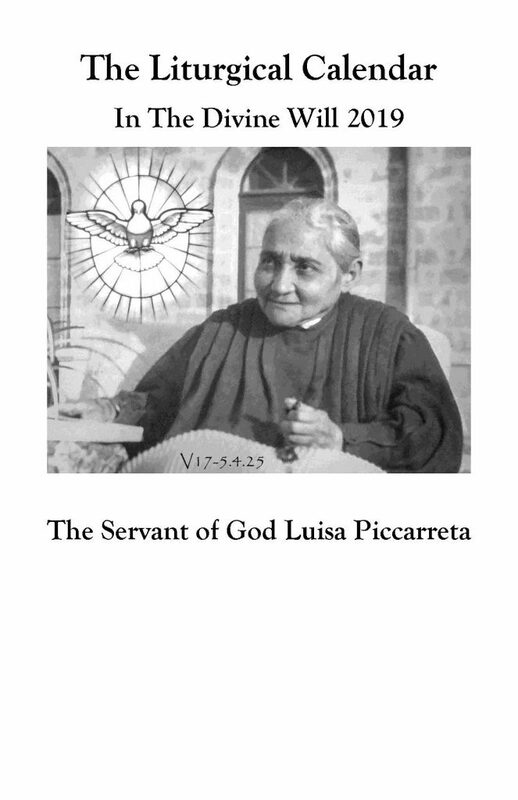 Come Holy Spirit, fill the hearts those who are linked to Luisa with the inextinguishable Fire of Your Divine Love; the Fire of Divine Love that transmutes the soul in God; the Fire of Divine Love that with Its flames invests all the human operations and gives them the form of Divine Operations. Come Holy Spirit, fill those who are linked to Luisa with the Fire of Your Divine Will that contains such Power as to be a New Baptism for the soul, as Jesus told Luisa, “even more than Baptism itself.” Wash from us every stain, and give us that new Baptism that will strengthen us in Grace, to be admitted to Live with You on earth as it is in Heaven. 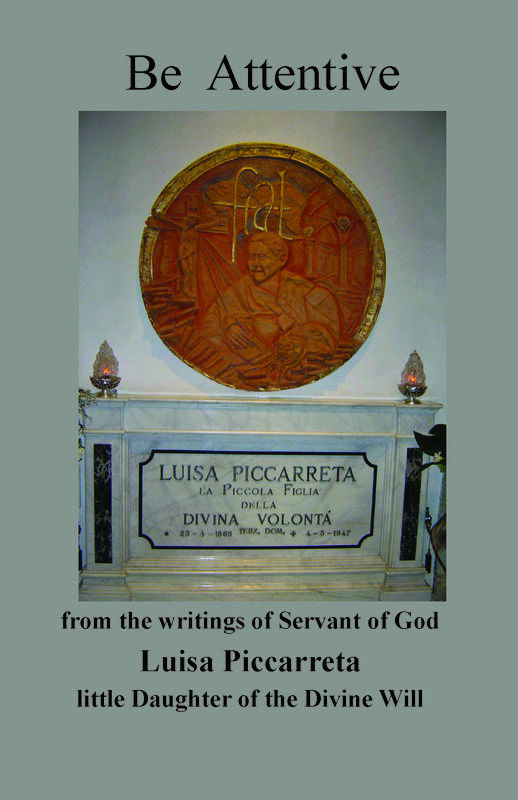 Come Holy Spirit, baptize those who are linked to Luisa with the Baptism of Your Divine Fire. Restore and heal us with Your Breath of Fire. Purify us with Your Divine Fire and devour and consume all our passions and evil tendencies, and finding our souls naked with no extraneous humors, it will be easy for You, Holy Spirit, to convert us into Your very Divine Fire. Let us feel the burning of Your Divine Fire and the palpitating Divine Life of our Creator so that all mankind will return to be the “bearer of his Creator.” Then You, Triune God, will feel the happiness, glory and appreciation for Your Creative Work, as it returns Love into Your Divine womb, as it came out, in a Fire of Love from Your Paternal Bosom. Come Holy Spirit with Your Divine Fire of Your Divine Love and Sanctify the earth. 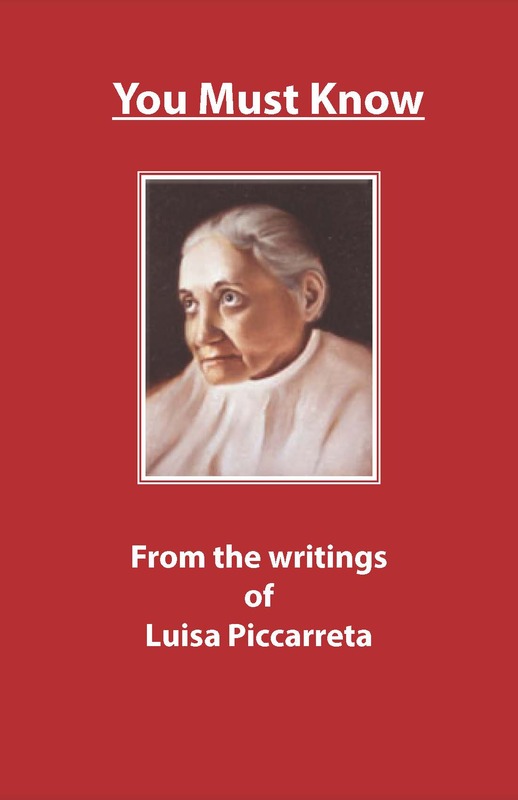 We ask this in the name of Jesus, Our Lord, under the blue mantle of Mary, Our Mother and through the intercession of the little daughter of the Divine Will, Luisa Piccarreta. Amen.